Shreveport's skanking bayou reggae sextet, the Stiff Necked Fools, have fun with new tune: "Greg Likes Your Mom"
Kenny Broberg, John-Henry Crawford, a photo by From the Top, Inc. on Flickr. A special recital on Fri, March 30, will honor the memory of our beloved Maestro, John Shenaut, says Lester Senter Wilson, Executive Director of the Wideman Competition. 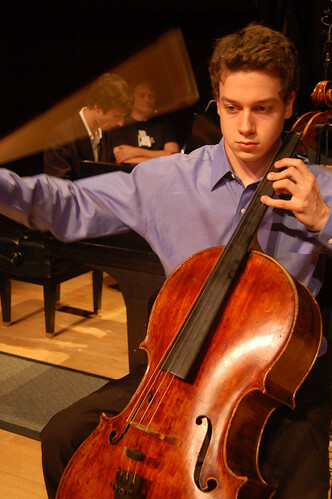 John Henry Crawford together with Yue Chu, the Gold Medalist at the Wideman Finals last month, will present a joint ‘cello and piano recital. It should be something spectacular – and the sort of thing that we have not seen before in Shreveport, says Wilson. Anderson Auditorium of the Hurley School of Music at Centenary. Compliments of the Wideman Competition. Reception afterwards at Symphony House. 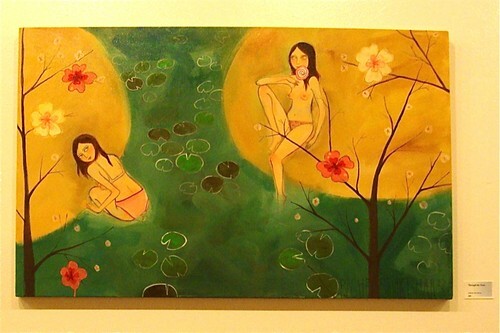 Wayne Martin Belger at Meta Gallery, a photo by Meta Gallery on Flickr. "artspace presents “Borderlands: Journeys from Destruction to Creation,” an exhibition of the photography and cameras created by Wayne Martin Belger," says Julia Foley. Belger’s work has been exhibited around the world in prominent galleries and featured in high-profile contemporary arts magazines. The exhibit will open on Fri, March 30, at 6:00 pm with live entertainment, hors d’oeuvres and cash bar. Admission for the Opening Reception is $10. Complimentary parking is available at the Blue Scroll Mural Lot at the corner of Texas and Common Streets. 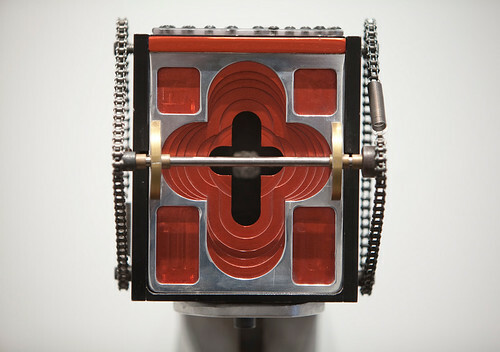 On Saturday, March 31 at 10:00 am, artspace will host an artist talk with Wayne Martin Belger. He will share technique, experiences and inspiration for his works. This event is free and open to the public. Coates Bluff Trail / Centenary College Big Event, a photo by trudeau on Flickr. Red River Teachers Assoc leader Jackie Lansdale and Dodie Horton, legislative assistant to State Rep Henry Burns, will apprise the education issues facing the voters in this session on the weekly public affairs program Time for A Better Shreveport. Robert Poole, Centenary student, will chat about the service work he performed as part of The Big Event. Hosts are Loren Demerath, carolyn Manning and Robert Trudeau, board members of A Better Shreveport. A Better Shreveport: Jon Soul , a photo by trudeau on Flickr. "Jon Soul is on his expedition down Bayou Pierre via canoe to Natchitoches, this week," writes Loren Demerath. "He'll be calling in to me every night with his location and notable observations." "The first day, Jon got off pretty late, having had to go through extensive camera training from professional cinematographer and expedition video technical assistant, Dan Furst. But Jon made it to Flournoy Lucas Rd., where he awaited pickup from Dan, and they both spent that first night at Camp Forbing. Today, Jon made it to what the cycling community knows as "the crossroads," Rt. 175 and Ellerbe Rd. He noted some great put-in sites with easy access for canoes and kayaks along the way. The wildlife highlights today were extraordinary: a river otter, a salamander, deer, bass, geese, hawks and seven beaver. The beaver charged together; came barreling off the bank, making a huge ruckus doing it and one big one—maybe the male—came out and gave a big tale slap." Soul is a teacher at Montessori School for Shreveport. He is the originator of the Coates Bluff Nature Trail. The Bayou to Bay voyage is designed to show Louisianians the route that would be taken by a loose basketball - a part of the immense amount of trash that escapes our hands each day - as it dribbles down the Louisiana watershed. The art of Weapons is a body of work that has been part of Christopher Moore's life for over 2 years. The Art of weapons is thought provoking as well as a whimsical look at weapons in everyday life and death. Artspace has welcomed the idea for the show and it will encompass over 60 works of art in sculpture, plate steel wall hangings, as well as paintings. His ideas do not necessarily precede any logical order. His work sometimes set another idea off in an unexpected direction. According to Christopher, "My works of art may be understood as a facilitator from the artists mind to the viewer but it may never reach the viewer and it may never leave my mind. For this mind to continue creating I have to share my works with others through this show". Trevarri Huff-Boone self portrait, Shreveport, a photo by trudeau on Flickr. Young and gifted saxophonist Tre' Huff-Boone will blow lines inspired by John Coltrane tonight as he reacts to the congas of Tarumbae Ron Hardy, djembe played by Greg Andrews and bass lines by Tchai leader Robert Trudeau. 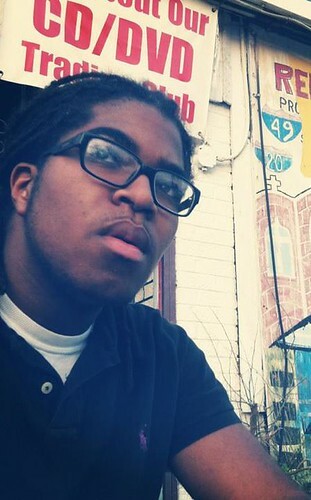 On the screen will be flicks assembled by Tchai visualist Brian Landry, Jr. Playing at 8 pm, Tchai opens for Ed Cooper of Houston. Splaying moving images across every part of minicine, Cooper's multi-projector show, called Projexorcism, inundates viewers in Americana. The trio John Calvin closes the evening. Louisiana Dance Theater, Shreveport , a photo by trudeau on Flickr. 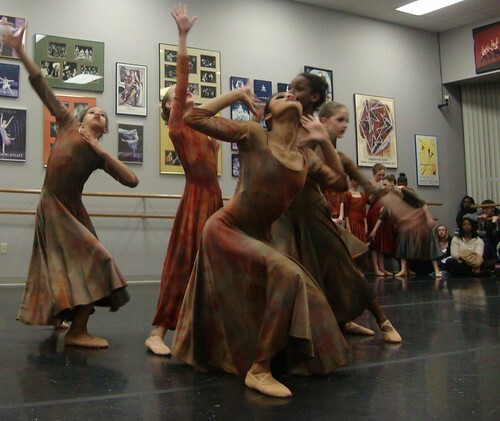 Carol Anglin's troupe, Louisiana Dance Theater, will be joined by Orchesis Dance Company, Grambling State University, by Impulse Dance Theater, La School for Math, Science and the Arts and by students from Green Oaks Performing Academy in an annual series of dances called La Dance Alive! Performances begin at 2 pm Sat, March 24. Irene and the Sleepers / photo Mary Manno, a photo by trudeau on Flickr. Irene and the Sleepers plow a silly-grinning, enthusiastic audience at the Riverside Warehouse, downtown Shreveport, on Fri, Mar 23, says Chris Rimmer. 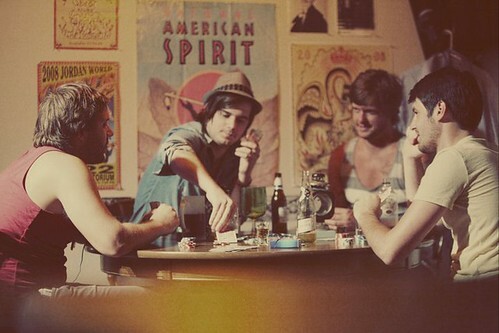 Irene and the Sleepers are the newest discovery at Shreveport Blog. It's a rockin Americana group - several of them were in a successful group called Tyler Read - with capable vocals, singable hooks and expert guitars. Check them out. 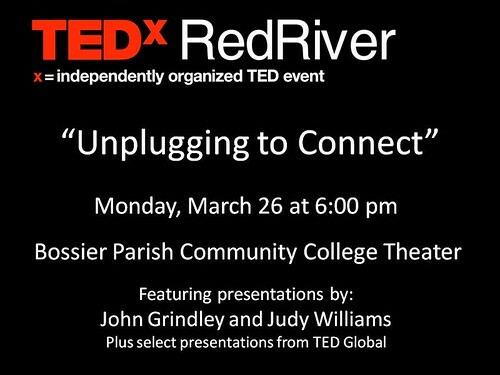 TEDxRedRiver @ BPCC on Mon, Mar 26 , a photo by trudeau on Flickr. "Unplugging - to connect" is the theme of the third edition of TEDx in the area, says Clint McCommon. To expand audience and confound local expectations of venue - the first gathering was at RFC, the second at CoHab - the session will be presented in the theater at Bossier Parish Community College. It is free, it is non-commercial and it wraps early, since the presentations begin at 6:30 pm. 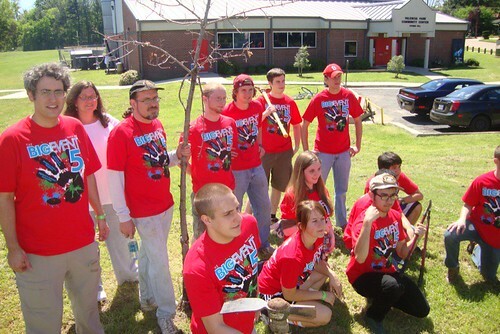 Animation & Visual Effects Academy, LSU Shreveport, a photo by trudeau on Flickr. "The Animation and Visual Effects Academy (AVEA) is a summer program that provides high school students with hands-on instruction in computer animation and film making," says John Miralles. 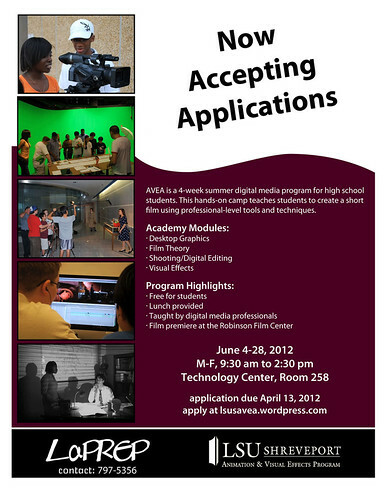 Topics covered in the summer academy include desktop graphics, film making theory, film shooting, and film editing. Participants use professional-level tools and techniques to create a short film (from idea to completion) under the instruction of professional filmmakers, visual effects editors, and film compositors. AVEA is sponsored by LaPREP and is a collaborative effort between LaPREP and the Animation and Visual Effects Program at LSUS. Projexorcism is Houstonian Ed Cooper. See it at minicine Thurs, March 22. Tchai opens at 8 pm. , a photo by trudeau on Flickr. 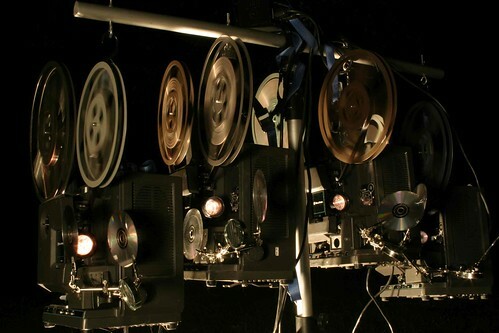 "Currently Projexorcism is using a quad 16mm projector array suspended from a lighting pole - the projectors are synchronized with a 4- channel sound-actuated variable speed lighting controller. The projected images are split, inverted and bent using silver reflective CD-R's and Fresnel lenses," says Houston artist Ed Cooper. Cooper brings his movie array to minicine, 846 Texas Ave, on Th, Mar 22. Opening at 8 pm with ambient and progressive jazz is Tchai. Hear Tarumbae Ron Hardy on congas, Greg Andrews on djembe, Robert Trudeau on bass and saxophonist Trevarri Huff-Boone on soprano and tenor sax. Tchai guitarist Tracy Chappell is recovering from a broken wrist. Closing the show is the heavy trio called John Calvin, who refer to themselves on myspace as the Hitleristic Darwinists. Bayou to Bay with Jon Soul, a photo by trudeau on Flickr. "Like every drop of water, piece of trash, and basketball that enters Bayou Pierre, I am undertaking a water-borne journey towards the Gulf of Mexico," says Jon Soul. The one-man journey is called Bayou to Bay -- exploring Louisiana's watersheds. 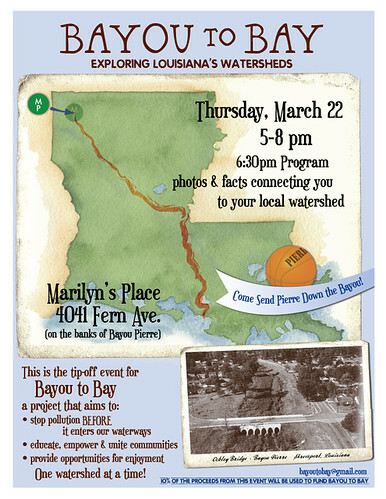 Chat with the impassioned and skillful woods and bayou man on Thurs, Mar 22, 5 to 8 pm at Marilynn's Place at 4041 Fern Ave. At 6:30 pm Soul will talk specifically about Louisiana's watersheds and the nature of his journey. Soul, a teacher at Montessori School for Shreveport, is the originator of the Coates Bluff Nature Trail. He and MSS recently won a statewide conservation award for use and development of the Coates Bluff Nature Trail. Get your canines sudsed and dried at Dog Day Afternoon, March 25 at Marilynn's Place, 4041 Fern Ave, says Cynthia Keith. It's a benefit for Shreveport Dog Park Alliance. There's also Marilynn's Sunday brunch from 10-2pm, with 10% of the proceeds going to the Dog Park Alliance. At 2:30, the Dog Wash will begin. Vibe Entertainment will have a band and DJs throughout the day. Pawtastic and A Pampered Pooch will provide nail clippings and washes for smaller pups. 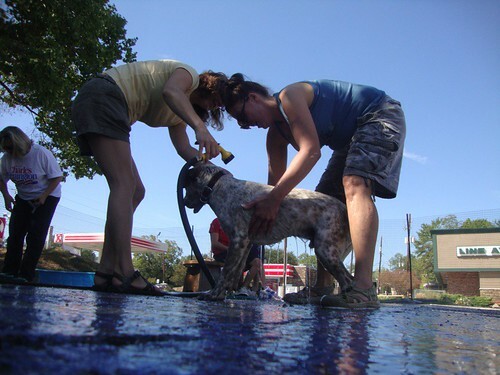 Dog Pack volunteers will be washing pups with suds by Lucky's Yellow Rubber Ducky. Marilynn's Place will be hosting a special dog inspired menu. For more info, Brittany at bnmatthewss@gmail.com, 915-355-6995. Dear legislators and voters who are wondering about the viability of Jindal's proposals for educational change: a long-term teacher responds in brief . 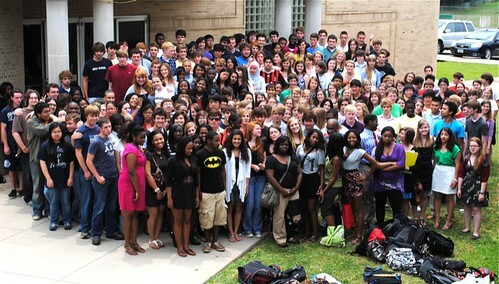 . .
Caddo Magnet Class of 2011 f, a photo by trudeau on Flickr. Please resist the Jindal team and the fast-tracking of his education legislation. The governor is ignoring the basics in Louisiana. To truly tackle the problems in Louisiana schools is to address the impoverished state of the population. quick profits. As a 30-year teacher I have the wisdom to see a disaster ahead in JIndal's plan. What do I propose? Louisiana needs to link educational reform to addressing the generational poverty that blocks schools and hard-working teachers from being effective. Alas, there's no quick fix in that route. A sensible program begins with all legislators and state admins being assigned a 3-class unit to teach in public schools. The teacher will be a mentor to the legislator. Following the widespread experience of businessmen facing students and parents, let us sit down in committees to write a revised list of core problems. From that process will come a fresh perspective and a suitable list of adjustments to be sought. We might begin with my classroom. Would you like to teach a brief unit on China to world geography 15 year-olds? The very good news is that I teach in one of Louisiana's highest-achieving schools, Caddo Magnet HS. Conditions at Caddo do not reflect the norm in the Bayou State. Regardless, it is a good place to begin. This is a letter sent today to La Reps Carmody and Peacock. Feel free to copy, modify and send to your representatives. Global Mala Shreveport 07 / Sonja Bratlie, a photo by trudeau on Flickr. "Christy Porter from Bistro Byronz will be hosting another Sightz and Soundz on Thursday, March 15, and I have been invited to showcase some of my favorite photos," writes Sonya Bratlie. "Please drop by between 6-9 pm. The photos will be printed 11x14", mounted and framed in custom cedar wood frames made by Alicia Brown." See her excellent compositions at Photos by Sonya. Expect live music by Jay Bratlie, banjo player from Dirtfoot, who says, "just me and a guitar and banjo; playing some of my favorite tunes and a few originals of my own." Pina / Wim Wenders , a photo by trudeau on Flickr. In "Cafe Muller" the elegantly-dressed dancers enjoying the inviting room are marvelously unhinged people. As a comely woman nervously paces across the room, a man in a well-cut suit pulls chairs and tables out of her way with alacrity and alarm. 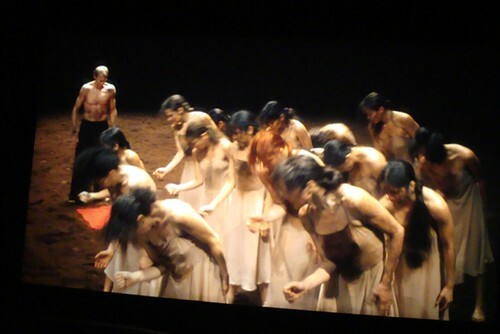 Thus it is in the best modern dance, as choreographers such as Pina Bausch explore our psyches through wordless movement. German moviemaker Wim Wenders won an Academy Award nomination for Pina, a film of relentless rising and falling action. Pina is set both on stages and in the entrancing town of Wuppertal, DE. The dances are shocking and amusing, often simultaneously. Originality, grinding energy, precision, mystery; Pina is a phenomenal whirl. At Robinson Film Center. Alas, not in 3D. 1 hr, 46 mins. I judge it a PG13. Tried the Vegetarian Quesadillas at Abby Singers Bistro? Tasty, inexpensive ($9) and filling. Recommended! Finish Hwy 3132: Please see www.finish3132.com, a photo by trudeau on Flickr. 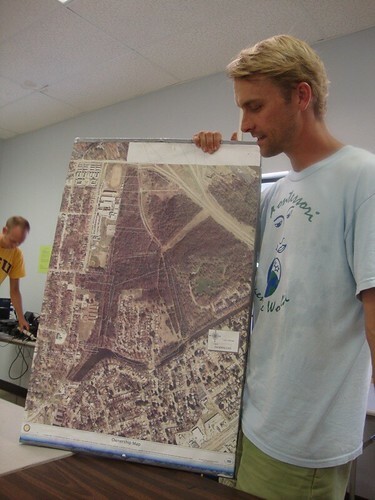 “A developer’s request for access to Flournoy Lucas Road near its intersection with the Inner Loop set off an odd chain of April events,” said an article in The Times (Shreveport) in May, 2011. 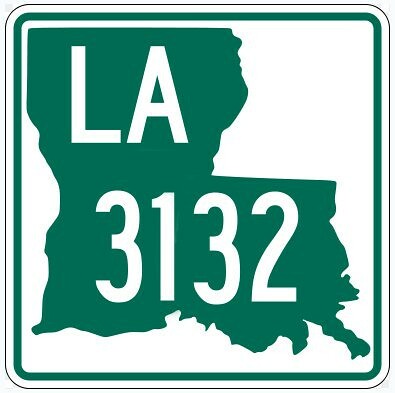 The Times reported that for the first time residents in southeast Shreveport who use East Flournoy Lucas Road learned they were not going to receive the traffic relief along the route offered by the anticipated completion of Highway 3132, says Elliott Stonecipher. "The Finish3132.com website offers information about the importance of finishing Highway 3132 and what you can do to support these efforts," says that site. 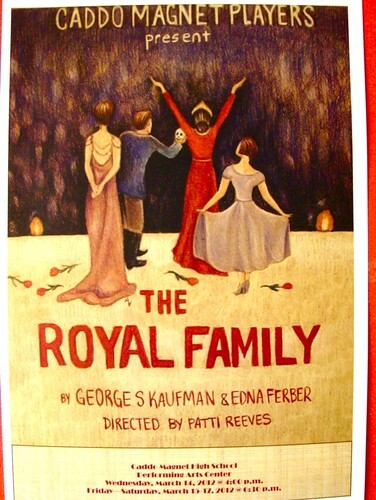 Caddo Magnet Players: The Royal Family, Wed, Mar 14, 4 pm; Fri, Sat, Mar 16, 17, 6:30 pm17, a photo by trudeau on Flickr. "Celebrate Teen Tech Week with Shreve Memorial Library!" says Kelly McSwain. Twin Engine Labs reps will talk about how they create awesome apps for the iPhone, iPad and Android devices. "Come meet the creators of the award-winning "The Fantastic Flying Books of Mr. Morris Lessmore" Interactive iPad app!" adds McSwain. Shreve Memorial Library - Cedar Grove/Line Ave.
A new day for Shreveport and its garbage and litter, too, a photo by trudeau on Flickr. 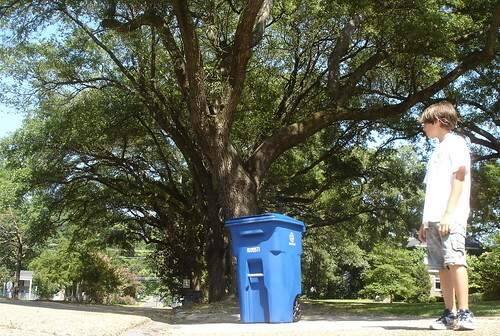 Shreveport Green is seeking volunteers for the Great American Cleanup to be held from 8 a.m. to noon April 14. Volunteer groups will pick up trash from city streets, parish roads and waterways and beautify area parks by planting flowers and shrubs. After the clean up, volunteers will be treated to food, prizes and face painting. T-shirts will be given to the first 600 registered volunteers. The deadline to sign up is April 9. For more information, contact Casaundra Calloway at (318) 219-1888, ext. 20, or by email at ccalloway@shreveportgreen.org. 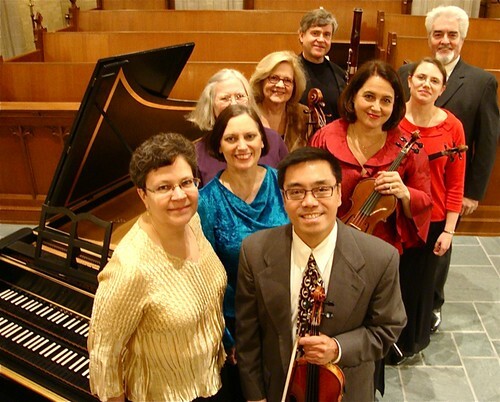 Featuring Bach's Sonata N. 3 in E Major for Violin and Harpsichord and Handel's Oboe Concerto in G Minor, the Baroque Artists of Shreveport will perform on Sun, March 11, 3 pm. The venue will be Anderson Auditorium, Hurley School of Music, Centenary College. "Here is another opportunity to sell your stuff! says Erin Fort at Noel Memorial Methodist. 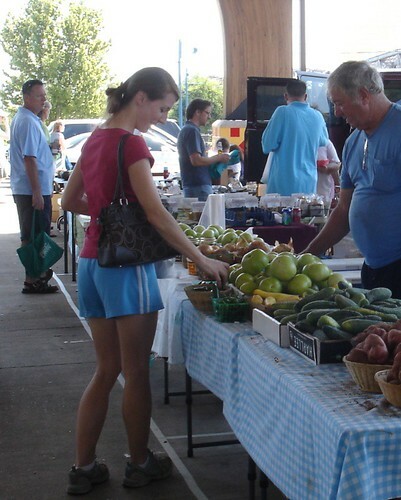 Featuring: Artisan works, Food Vendors, Yard Sale Items, Free Kids Art Activities and more! 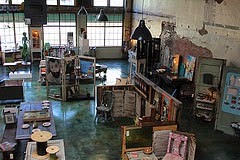 Artists can take advantage of the Highland Cultural District! 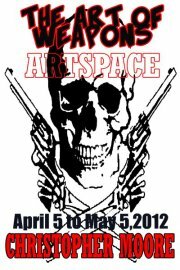 Deadline to register as a vendor is April 18, 2012 or once all spaces are filled! 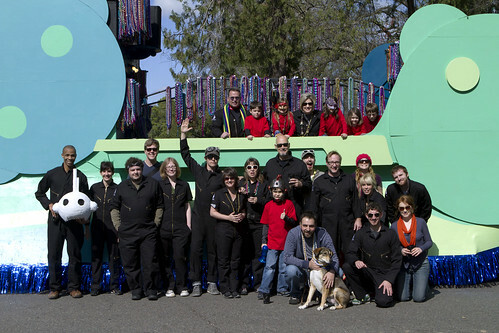 Krewe of Highland 2012 Parade, a photo by moonbotstudios on Flickr. Join the City of Shreveport, Parish of Caddo and a choir of jubilant schatzlsingers on Texas St in a confetti-topped, two and a half-block parade in downtown Shreveport on Mon, Mar 5, 11:30 or noon, says the Mayor. The fete is in honor of Academy Award-winning directors William Joyce and Brandon Oldenburg and the animators at Moonbot Studios. The parade will begin in front of the Caddo Parish Courthouse and span the 500-700 blocks of Texas Street. The C.E. Byrd Marching Band (Bill Joyce's alma mater) will lead the way to artspace. Following the parade Bill and Brandon will tell stories about their days in Hollywood. Then there will be a fresh hot dog lunch! And don't be surprised if 6 confetti cannon spew masses of paper spaghetti all over your bad self. 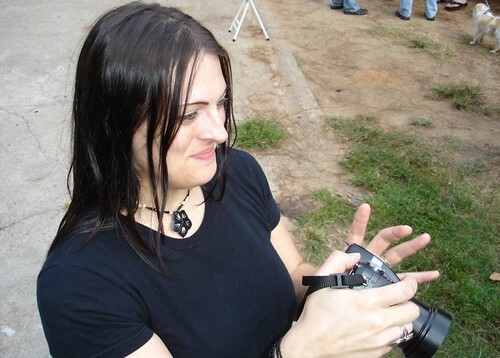 Rachel Stuart-Haas, Shreveport , a photo by trudeau on Flickr. Once newspapers and even TV networks paid critics to write a stream of evaluation on arts presentations. Today that system is dead. It may be that arts organizations such as SRAC should step in to employ critics to measure and judge the work, believes Pam Atchison and others. The public can watch the process in action this week at Artspace Shreveport as San Diego critic Robert Pincus returns to Shreveport to size up a show by Rachel Stuart-Haas (Fri, Mar 3, 5:50 - 7:30 pm) and speak about the role of the critic (Sat, Mar 3, 10 am). This week Fine Arts Survey students at Caddo Magnet HS watched the award-winning biography "Pollock." In "Pollock" the script asserts that the NY Times critic was a critical straight shooter, calling the shots - which paintings worked and why, which painters were on fire, etc - as he saw them. Yet he is also seen as a frequent guest of Krasner and Pollock. On one hand, it is a testament to the PR savvy of Krasner. But it asks for our thinking about an issue. 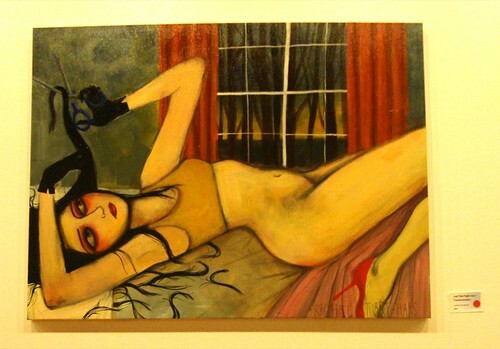 Is it possible for a critic to both hang with an artist and fairly evaluate the artist's work? That's one of the many issues to be taken up at Artspace this weekend. In honor of the Texas Avenue Community Association and the first annual Cora M. Allen Day (March 7, 2012), here’s a musical tribute to Shreveport’s Texas Avenue. The complete story on Three Fifteen and His Squares can be found in my article recently published in The Jazz Archivist, a newsletter of the William Ransom Hogan Jazz Archive at Tulane University. Here's an excerpt below -- “Three Fifteen and His Squares - Shreveport's David Blunson” by Chris Brown (The Jazz Archivist, vol. xxiv, 2011). 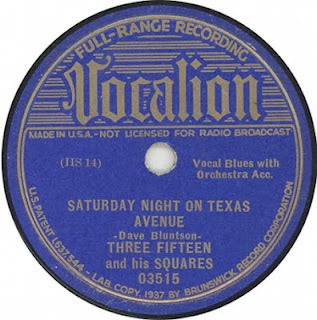 In 1937, Three Fifteen and His Squares, a music group from Shreveport, Louisiana, traveled 200 miles north for a recording session in Hot Springs, Arkansas. The musicians, led by David “315” Blunson, recorded four songs released by Vocalion Records. Apart from the group’s four recordings, however, they left few traces of their existence. As a result, modern researchers have struggled to shed light on Three Fifteen and His Squares. Luckily for those curious about this enigmatic band, Blunson appears nearly a dozen times in an underexplored resource--his hometown’s weekly African American newspaper, The Shreveport Sun. Shreveport Regional Arts Council will host an Art Exhibition Critic’s Talk with Robert Pincus, Ph.D., at artspace, 710 Texas St in Downtown Shreveport, on Fri, Mar 2, 5:30 – 7:30 pm. Pincus will offer a critique of the current artspace exhibition, “One Woman Show,” featuring the paintings of Rachel Stuart-Haas. He will discuss the current state of art in our country and the role of the Art Critic. SRAC first brought Pincus from San Diego to critique the visual art entries and present the awards for the 2011 exhibit called Impromptu. With over a quarter million people in the US identifying themselves as “artists” and the decline of art critics due to staffing cuts by magazines and newspapers, the public is lacking analysis and evaluation of new works of art, says Foley. Art criticism is interpretive and involves effort by the critic to understand a particular work of art from a theoretical perspective and to establish its significance in the history of art. Art critics create dialogue, engaging readers to think and to debate artworks. They also bring a passion to the subject of art and provide significant exposure for artists and arts institutions. Pincus is a former LA Times art critic, an author and popular teacher at the Univ of San Diego.